Although Swedish Orient Line, or SOL, exists since 1911, it is only recently that the Swedish company started a liner service. In 2010, one of its five divisions –SOL Continent Line– began to operate a regular ro-ro service between Helsingborg and Travemünde. Now SOL Continent Line has expended significantly, and has become a main player in the ro-ro liner business. 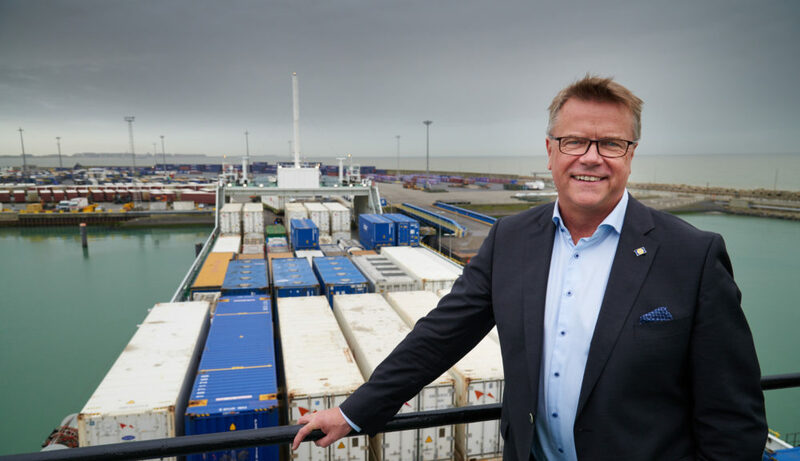 SOL Continent Line’s managing director Ragnar Johansson invited us onboard ro-ro vessel SCHIEBORG in the Belgian port of Zeebrugge, where we could witness how the ship was jam-packed with cargo.